.Hear the expert panel with Veronika Meduna Pala Molisa, Catherine Leining, Phil Squire and Aaron Packard from last week’s event. THE WISDOM TO SURVIVE asks, what is keeping us from action? 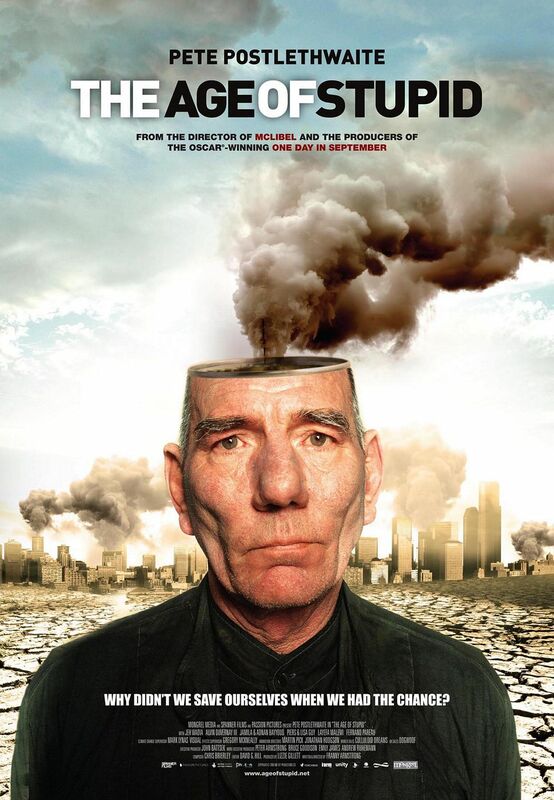 The film explores how unlimited growth and greed are destroying the life support system of the planet, the social fabric of the society, and the lives of billions of people. Will we have the wisdom to survive? 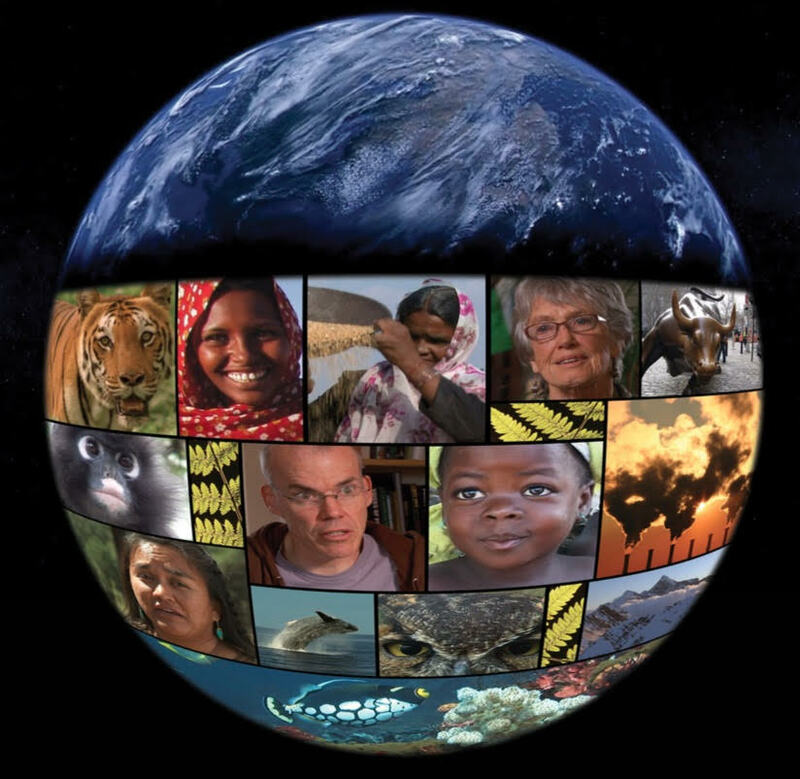 The film features leaders and activists in the realms of science, economics and spirituality discussing how we can evolve and take action in the face of climate disruption. They urge us to open ourselves to the beauty that surrounds us and get to work on ensuring it thrives. People do care about climate change. Well plenty do…. if our Facebook page Keep A Cool World is anything to go by – 500 likes in its first 2 weeks. People need to see that others care and that together our efforts will make a difference. If we reached our target of 1250 visitors to these September events that’s 1250 people showing they care about Climate Change and learning how they can do their bit. So get your friends along. Speak about this issue. 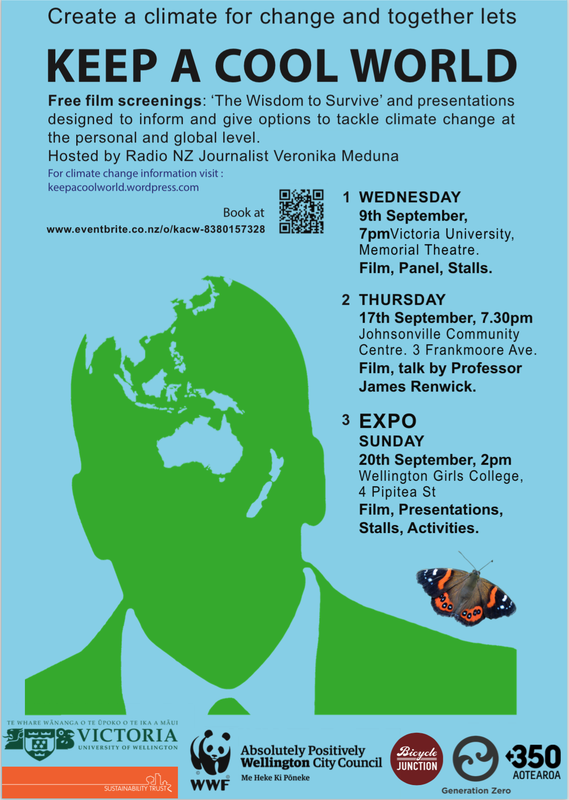 This is the only event of this kind in Wellington, reaching a large number of everyday people. Lets take a stand . What’s hot in September? Wellington groups collaborate for …..
Margaret Atwood is one of those names that don’t need any introduction. If you’re up for a (good) long read, I cannot do better than recommending her article: It’s Not Climate Change — It’s Everything Change. Matheson Russell- of The Anglican Church has large investments in property and shares. Rick Zwann shares what he sees as a “failure of world leaders to take action on climate change” motivated him to take action locally and to start campaigning for divestment at Victoria University, where he now studies geophysics, environmental science and politics.“It’s really heartening to see the university taking the lead on this. It was one of the moments when I was really proud of being a student at Victoria.” has moved out of fossil fuel investments. Jonathan Kennett says the first discussions arose when they were considering sponsorship for cycling events. “Our business has formed to promote healthy and environmentally aware lifestyles, and cycling is the biggest part of that. …. “The wisdom to survive” …..
” The Age of Stupid”….. looking back from the future at the story of climate change. FOOD: Transition Towns Otaki’s weekly Seasonal Surplus Stall brings together gardeners with excess to sell and shoppers seeking local-grown fruit and vegetables at the height of their freshness. Less waste, less transport-related greenhouse gas emissions, stronger communities. ENVIRONMENT: One of the major impacts of climate change is on biodiversity. Scientists predict that a warming planet will force many plants and animals to migrate to find the conditions that allow them to thrive. The creation of native corridors of vegetation to connect existing areas of intact bushland will aid this migration. In Australia, the Great Eastern Range corridor will stretch 3600 km from the Grampians in western Victoria to far north Queensland. See www.naturespace.org.nz for NZ biodiversity projects. “Forget about positioning giant mirrors in space to reduce the amount of sunlight being trapped in the earth’s atmosphere or seeding clouds to reduce the amount of light entering earth’s atmosphere. Those approaches to climate engineering aren’t likely to be effective or practical in slowing global warming. On the plus side, it’s good to have clarity in the ‘what can we do?’ debate; on the down side, we need to do a lot more of it.